Chinese Canadian electronic music artist MIIIA has been weaving her unique blend of vibes at the forefront of Shanghai's underground music scene since she settled down in this city. With a relentless passion for creation, she is continuously building a musical dream-world that grows from the studio into her on-stage performances. Countless party-goers have fallen for her talent and charisma; she is truly a leader of China's current underground music movement. After being exposed to rave culture in Canada, MIIIA’s Shanghai journey began with a weekly radio session at uDance (the first 24hr underground music radio station in China). Her weekly live show 'Tripout Session' was ranked no.1 for the station, and for this she was invited to perform at the opening of the 1st International Radio Music Festival in Zurich. It was the beginning of an expansion out of her local scene: since then MIIIA has performed in Spain, Germany, Canada, Korea, Hong Kong, Taipei, and numerous cities in mainland China. MIIIA is a resident with the strongest house and techno promoters in China, including Footprint, DOT and Co:Motion, and has shared stages with artists such as Oxia, Function, Secret Cinema, Doomwork, Levon Vincent, Mr. C, Steve Bug, Lawrence, Sodeyama, Ramon Tapia, Jay Tripwire, Fjaak, Traumer, Jimmy Edgar, Kaito, Roscius, Rodion, Efdemin, Disclosure and many more. She has also been invited to play for festivals such as Strawberry, Midi, and Storm. 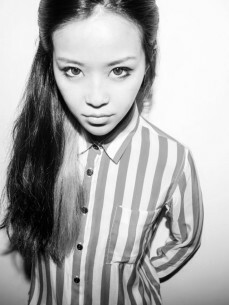 Storm signed MIIIA to represent the festival in 2014, playing a 6-city China tour. In 2014 MIIIA was one of a handful of China-based artists selected to attend the Red Bull Music Academy Bass Camp, performing and workshopping with Benji B, Axel Boman, Just Blaze and Hudson Mohawke. 2015 brought the release of MIIIA’s latest EP, ‘STORM,’ for Korean label ECI. The release includes her dark and dreamy original plus remixes from Hi-tek Soul master Jay Tripwire and London-based artist Nokken. Also her first EP on Co:motion records ’What just happened’ remixed Italio disco master Rodion fellowed by the launch tour of Co:Motion records. In 2016 MIIIA has been invited as one of the delegates to speak about the underground music scene in Shanghai at the By:Larm music festival in Oslo Norway.